Last week, in our largest ever distribution, we paid out a record £24 million gross to over 84,000 members with 81% of payees receiving £100–£1,000. 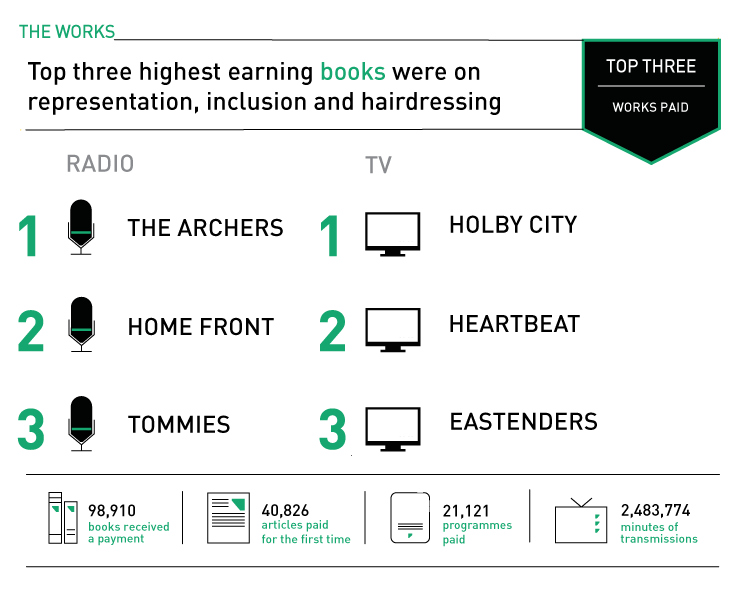 Compared with March 2018, we paid £241,597 more to an extra 4,074 writers, with 4,843 members receiving a payment for the first time. 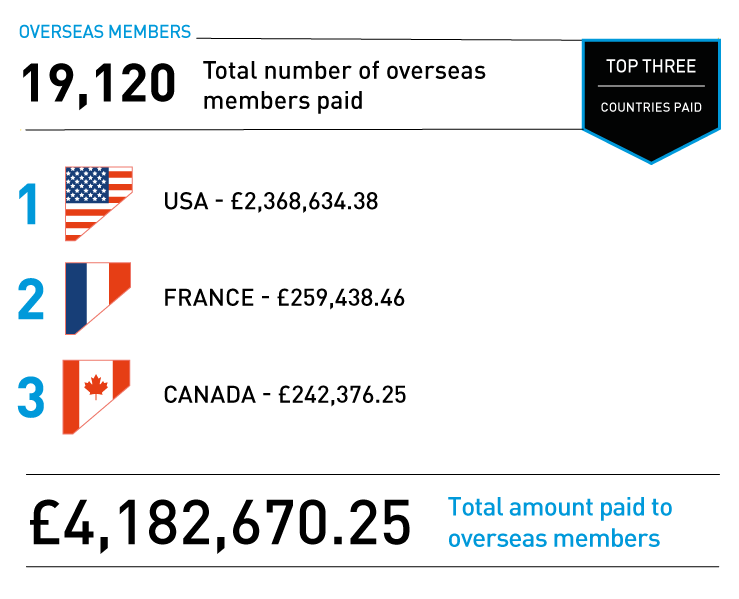 Our members are not just based in the UK – we paid more than 19,000 overseas members a share of over £4 million. We paid out for a huge variety of works with over 98,000 books generating a payment. We’d like to say a huge thanks for all the lovely emails and messages on social media about the distribution – reading them is definitely one of the perks of the job! Please help to spread the word by telling friends and colleagues about ALCS.